Would you a buy a phone you could build yourself? 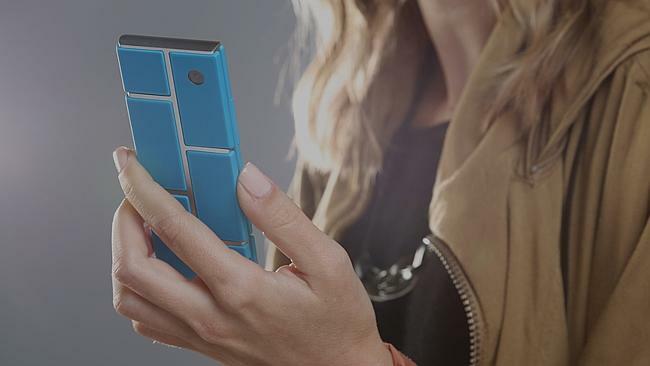 AT THE first Ara Developers Conference, happening now in Mountain View, California, Google developers took to the stage to discuss their modular smartphone project that’s set to. We already knew that the most basic model would be available at a starting price of about $50, but CNET reports that team leader Paul Eremenko told conference attendees yesterday that a grey version of the Project Ara device is slated to go on sale in January of 2015. Project Ara is Google’s latest project that let’s you essentially build your own phone by adding “modules” to the device to completely make it your own. This could include a new screen, camera, processor and even extra speakers. The colour option might not tickle your fancy, but the choice is a deliberate one. Functional modular hardware isn’t the only selling point of Project Ara. Eremenko made it clear that the team’s goal for the device is maximum customisation, which includes aesthetics; as a colour choice, grey represents a blank slate that future users can personalise to their heart’s content. The Project Ara website shows a few possibilities, from monochromatic grey blocks to bright, bold hues. Also discussed was Project Ara’s expected timeline. For it to be made available for purchase early next year, a few milestones must be met first. The device will run Android, but the operating system is not designed with modular components in mind, so the team is looking to have a version of Android that can support the drivers used by Project Ara ready by December. It’s a tight deadline, but one that Eremenko and Regina Dugan, former director of the Defense Advanced Research Projects Agency and current head of Google’s Advanced Technology and Projects division are confident they can meet.